Even after a year and a half, Lake Park Friends aren’t giving up their search for a cure for the corrosion problems plaguing the park’s Ravine Bridge. At first they investigated replicating the 111-year-old concrete footbridge, but they are now looking at rehabilitation, having learned of new materials and techniques that are rescuing old bridges elsewhere. They plan to fund a study of the new technologies. In a new turn of events, the friends group and Milwaukee County have formed a public-private partnership to save the bridge. It’s hoped that an anonymous donor’s $500,000 challenge grant will inspire more donations toward a $1 million goal. The “fix it” option for the bridge is winning over even some skeptics. 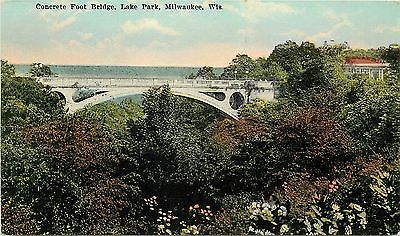 The lovely bridge is not only a key feature of an Olmsted-designed landmark park but an essential park “connector” joining two sides of a deep ravine.